The latest buzz in the eternal battle against mosquitoes, researchers identify a natural deterrent released by skeeters’ predators. 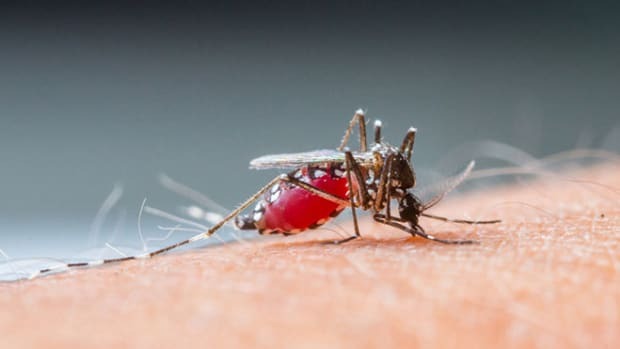 Quiet as they are, mosquitoes generate a lot of buzz from scientists, pharmaceutical companies, aid groups and governments trying to get rid of them and the diseases they carry, including dengue, West Nile virus and malaria. Today, the fight against mosquitoes has never been so heated. In March, scientists announced a new way to interfere with mosquito reproduction by unlocking a sort of "chastity belt". In July, a University of Kansas lab was able to make the bugs more susceptible to insecticides by silencing genes in larvae using nanoparticles. 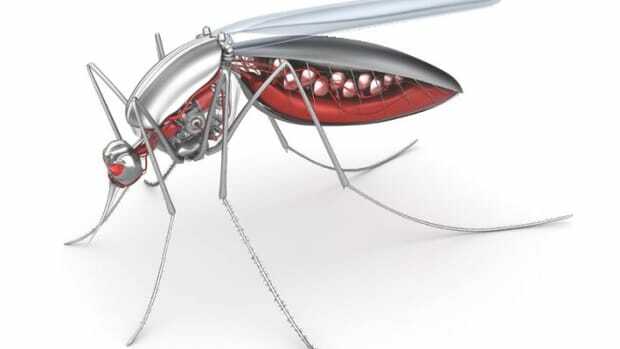 Also in July, a team at the University of Arizona unveiled the first "malaria-proof" mosquito. It could be another 10 years, however, before the genetically modified insect makes it out of the containment lab, the researchers say. So until we can rid the world of mosquitoes altogether, as some scientists hope, the next best thing is to keep them away from populated areas. 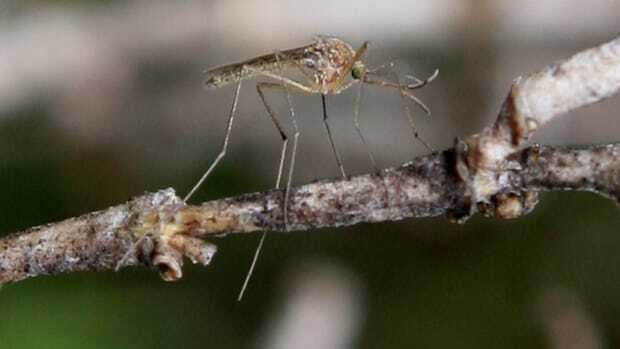 Published last month in Ecology Letters, researchers at the University of Haifa in Israel have identified two chemicals, released by predators, that cause female skeeters to go lay their eggs elsewhere — a potential new environmentally friendly method for mosquito control. Ecologists have long known that some prey species detect chemicals released by predators, typically by-products of metabolic processes, and take action to avoid being eaten or having their offspring eaten. 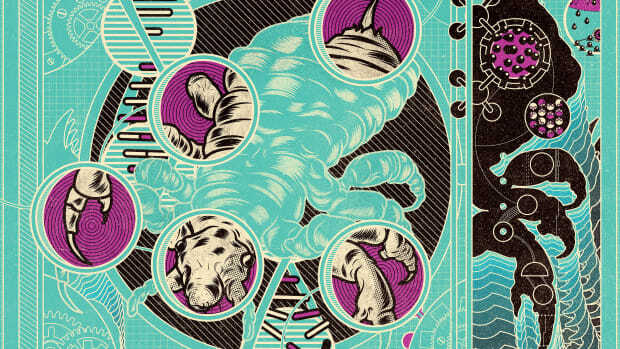 The larvae of water fleas, for example, change their shape drastically, growing pointy helmets and spines in response to a nearby predator chemical. In temporary pools in the deserts of Israel, ecologist Leon Blaustein noticed that in the presence of backswimmers (Notonecta maculata), a small predatory water bug, mosquitoes (Culiseta longiareolata) do not lay eggs. Some chemical cue seemed to be warning the pregnant females away from those backswimmer-laden pools, Blaustein hypothesized. So he and his team compared chemicals released by the backswimmers with those released by a mosquito predator that does not elicit an avoidance response, the emperor dragonfly (Anax imperator). Comparing the two lists, they found a handful of chemicals unique to the backswimmer, then determined which of those, if any, warned away pregnant mosquitoes. "It was little bit like finding a pin in a haystack," says Blaustein. In the end, serendipity prevailed. The team isolated two compounds — n-tricosane and n-heneicosane — found in the exoskeletons of some animals and in plants. Applying a duo of the compounds, both readily available from commercial chemical manufacturers, to a pool of water prevents a female mosquito from laying her eggs there. Increased searching for a breeding site increases the likelihood that a mosquito will die before laying eggs, says Blaustein, so the technique has potential not only as a repellent, but also to help reduce mosquito populations overall in an area. For now, however, the chemicals only repel mosquitoes from a body of water for 24 hours. "What we have so far may be effective, but if we can find or make more longer-lasting chemicals, that would be even better," says Blaustein. He hopes chemists may be able to tweak the chemistry of the two compounds to extend their effects. Though the mosquito species used in the experiment is not a disease vector, the backswimmer also repels pregnant Anopheles gambii females, "the most important malaria vector in the world," says Blaustein. He does not know yet if the same chemical repels both mosquito species, but the natural repellent technique can very likely be applied to many other disease-carrying species, says Blaustein. "It is promising," he says. Unlocking a bug’s chastity belt could open doors to a targeted insecticide to provide new hope in the fight against malaria. 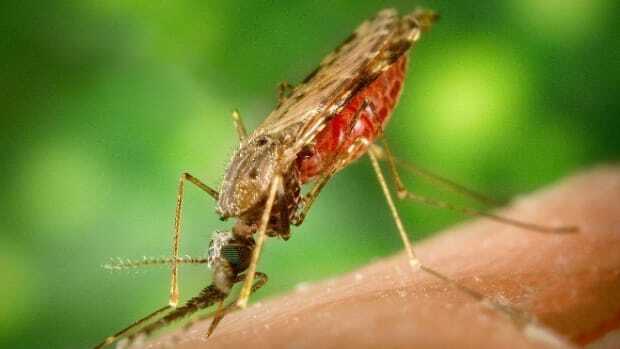 Malaria research needs a steady supply of mosquitoes, and breeding them involves extreme self-sacrifice. How scientists are fighting malaria and dengue fever by turning disease-carrying bugs into their own worst enemies. In a high-security lab in Italy, scientists have launched a large-scale experiment to genetically modify mosquitoes with an end goal of potentially eradicating malaria in Africa.